While setting out on a bright summer weekend in Helsinki, I got to see the most beautiful thing on the streets. A very old tram! 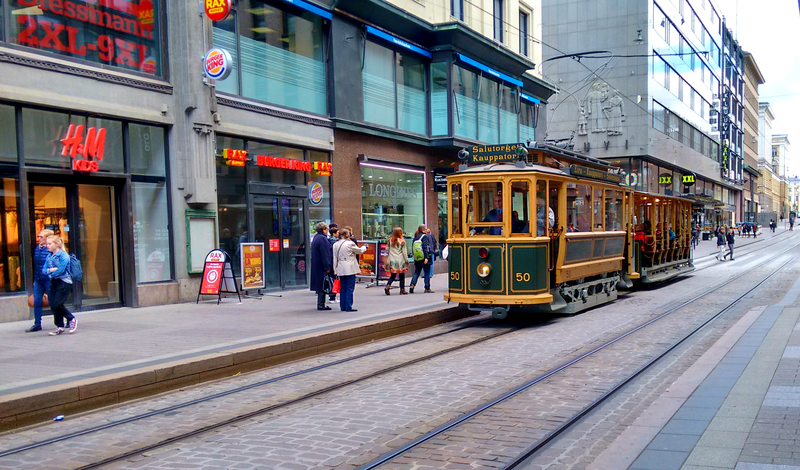 Upon inquiry, I found out, it was a century-old tram (about 105 years! )and running on a ‘museum tram ride’ schedule especially for the summers. People can join museum tram rides on summer weekends. Indeed, a perfect reason to visit Helsinki during the summer time! If you happen to want to try it, just head towards the tram stop at Helsinki Market Square in between 10 am to 5 pm. The frequency is pretty good and the price is just 5 euro per person. Unfortunately, the public transport cards cannot be used in these exclusive train rides. Just a 15 minutes ride, but it’s definitely worth a try. Find more details here.